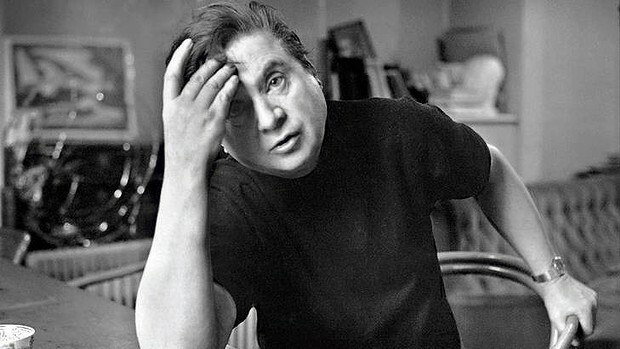 Cinematic Identity Crises and Francis Bacon – Part 1 (Performance). The paintings of Francis Bacon have been so often alluded to within post-1960s British cinema that it more often than not loses a sense of consistent meaning and turns more readily into a repeated meme for cultural acknowledgement. Since the art market has promptly recognised that Bacon’s work is of a very genuine commercial value, his style of imagery has been taken on board to denote a catch-basin of a number of his general ideas, albeit fleetingly. However, several filmmakers have used Bacon’s influence and work successfully to compliment and align several of their own cinematic ideas, creating with verve a sense of fragmented identities and provocative power plays between people and sexuality. Cinema which focuses on what could be termed as an identity crisis of some form marks itself out for allusions to Bacon’s paintings and the most confident of these films go so far as to very literally reference and recreate Bacon’s work, even sometimes showing his original paintings within the diegetic narrative worlds. Exploring Bacon’s themes can also open up further readings of these complex films and there is no better example than in Donald Cammell’s and Nicolas Roeg’s film, Performance (1970). Performance has one specific moment that nods heavily to the sheer aesthetic practice of Bacon and his abstract visions but, thematically, the film also has strong ties to some of the artist’s driving forces. In spite of starting off as gangster film, Performance diverts heavily into the hedonistic tripping world of counter-culture London; spiralling out of control until its characters (and even some of its makers in real life) implode. At the film’s heart, however, is a crisis of identity that is powerful enough to shatter the film itself as it moves from narrative linearity to chaos. The reference to Bacon’s artwork comes towards the end of the film, where the identity between the two lead characters, Chas (James Fox) the East End gangster and Turner (Mick Jagger) the flunked out rock star, finally meld and form in what can only be described as a music video. At the end of this sequence, the criminal boss whom Chas has been on the run from is shown in a darkened room with the naked bodies of his associates surrounding him on floor. He is, on the other hand, fully dressed in his typical smart, Kray twins-esque tailoring. “The combination of sexuality and violence, of physical proximity and simultaneous brutality, set in a dark room, meant that Two Figures of 1953 was not shown in public for many years.” (p.42, 2009). “It was a mark of respect for the gay world that they had so much influence and control in the underworld. My access to that world was through Freud, Bacon and so on. And that was in a world of great, great artists, a number of whom happen to be gay. The overlap between the underworld and the artistic world was what I was showing in Performance. There’s an image of four or five naked men lying around in what was the office, it was intended to be a Bacon-esque homage. Very easy to say homage, every time you copy someone you say it’s an homage. So I copied, maybe not literally, but I copied it in my heart… They had an outrageous quality…” – The Ultimate Performance (1998). “I remember you in Hemlock Road in nineteen fifty-six. You’re a faggy little leather boy with a smaller piece of stick. Your sweat shines sweet and strong. In his book on the film, Colin MacCabe outlines one of the complexities of Performance, describing it as “A film which could stress the fundamental centrality of homosexuality but as a component of heterosexuality…” (p.64, 1998) further going on to suggest that “The repressed homosexuality which underpins the hatred of all difference of gender and race is opened out onto a genuine curiosity about the other: both carnal and spiritual.” (p.75, 1998). This seems to mirror Bacon’s practice and his persona where, as a notoriously difficult and angry artist, much bravado was needed just like the gangsters in the film. It also seemed to contradict the strict definitions of homosexual identity, finding a hyper-masculinity within it as opposed to simply a masculine body expressing femininity. Both Performance and Bacon’s paintings exaggerate the former as opposed to the latter and question an often ignored form of sexual identity (at least in the era). “Chas’ sexuality is focussed fetishitically on his own maleness in the way which Freud suggested in one of his most radical essays is the prototype for all masculinity. But that sexuality is broken open by the mirror that Pherber manipulates in her encounter with Chas and which projects a female face and body onto the surface of Chas’ masculinised body. ” (p.75, 1998). It is interesting that Performance, perhaps more so than any other film other than Bergman’s Persona (1966), uses mirrored fragments of personalities on a visual level to showcase an evolution and metamorphosis of character. 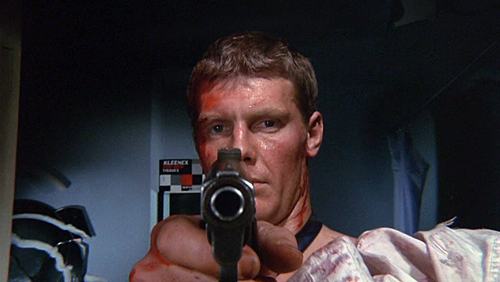 It makes the film deeply unsettling but in such a way that channels Bacon’s own fragmentation of the human form within his paintings; that, by tearing apart and reforming the physicality of beings, Bacon (and Cammell) found new depths and identities even in the strict world of violent ideologies and subversive machismo. The Fårö Landscape and Relationships in Scenes From A Marriage (1973) – Ingmar Bergman. Ringo’s Dérive in A Hard Day’s Night (1964).